‘Life of Pi, directed by Ang Lee, is a film so fascinating and so stunning to look at, you don’t want to blink for fear of missing out on a moment. It’s the only film since James Cameron’s Avatar to exploit 3D so richly. Yet, Life of Pi is not an easy film, although it does deliver many pleasures. The payoff in the end feels slight and not entirely convincing, but what you can never deny is that this film is unlike any other you’ve ever seen.I’m going with three-and-a-half out of five for Ang Lee’s Life of Pi. It may not touch your heart, but it’s a feast for the eyes. Watch it for its sheer visual brilliance. Oscar winner Ang Lee delivers a stunning masterpiece, defying the age-old belief that a film can seldom be as good as the book it’s been adapted from. Spectacular 3D and computer-generated imagery make the film a monumental work of art. Lee’s cinematic adaptation offers the story deeper meaning, while at the same time, mesmerising the viewer with its visual excellence.Ang Lee interweaves adventure and spirituality brilliantly. And if you still don’t know what meditation feels like, Watch Life of Pi, it is therapeutic and profound.Tip-Off: You may not like this movie if adventure is not your genre. In Life Of Pi, it’s the relationship between a tiger and a boy and how they learn to get along that is heartwarming. The different ways the stranded duo resort to to survive shows that Lee has an eye for detail. Rest of the job has been ably handled by the digital effects department. The whale, the dolphins, the flying fish and the glowing jelly fish are magical and add to the experience.However, at 128 minutes, the film is a tad lengthy. Tighter editing would have ensured that it doesn’t drag in parts. The 3D doesn’t work too well and is nothing but an unnecessary distraction. In the end though, Life of Pi is a one of its kind visual experience. Life of Pi isn’t merely another 3D extravaganza designed to deliver bushels of cheap thrills. There is infinitely more to it. It is a hauntingly attractive film that, like the fine book it is based on, dwells upon questions of human existence and man’s tangled relationship with God, Nature and beasts of the animal kingdom in a way that few potential blockbusters ever do, with ease and simplicity. Life of Pi achieves a quality that is rare for a 3D film – while the consistently awesome technical wizardry adds great beauty and depth to this universe it is never allowed to overshadow the substance of the narrative. Grab a piece of this Pi. It is a must watch. In terms of both the scale of its ambition and the exquisite perfection of its execution, Life of Pi is pure magic. Life of Pi, Lee’s first film to be shot in 3D, can boast of tremendous visual beauty, but as its protagonist makes his way from familiar light-hearted coming-of-age territory to starker and more fantastic places, one comes to admire Lee’s sense of restraint. 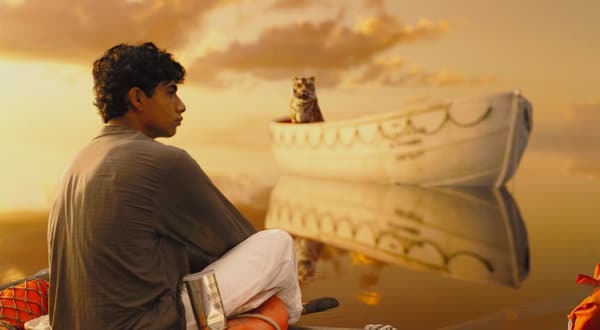 A world where religion is viewed as an anthropological tailbone and a stumbling block in the way to a better tomorrow, Life of Pi is a well-told parable which offers scoffers a non-intelligence-insulting perspective. A visually captivating but subtlely written film with great performances, Life of Pi makes for interesting viewing. What’s Good: The seamless direction; the visual effects; the amazing storm sequences; the storytelling. What’s Bad: The contagious sea-sickness; the not-getting-it factor. Watch or Not? : Watch it because it’s more than just a tale about a boy and a tiger; sit back and let the movie sink in.Life Of Pi is a compelling tale of adventure, magic and some stunning visual effects. This boy and tiger deserve a watch. The movie invites you to believe in all kinds of marvelous things, but it also may cause you to doubt what you see with your own eyes – or even to wonder if, in the end, you have seen anything at all.The problem, as I have suggested, is that the narrative frame that surrounds these lovely pictures complicates and undermines them. The novelist and the older Pi are eager to impose interpretations on the tale of the boy and the beast, but also committed to keeping those interpretations as vague and general as possible. And also, more disturbingly, to repress the darker implications of the story, as if the presence of cruelty and senseless death might be too much for anyone to handle.